Google is looking to give mobile gaming a more universal feel that will allow players to play together in new ways and access to their progress regardless of the device they are playing on. That was the focus of the “What’s New in Mobile Gaming,” the vaguely titled Google I/O session that held some very specific new features for mobile gamers. The presentation focused heavily on tools for developers and ways to implement the new features of Google Play game services, but we’re going to assume most of you just want to benefit from those features rather than learn how to code them. So what you can expect as players will all start with a Google+ sign in option. This links your account in games that use the Google Play game services to your Google account, meaning there is no nickname or account creation and no friend codes. It also gives you access to social leader boards between your circle of friends, creating competition and encouraging you to waste time trying to beat your co-worker’s score in a game rather than matching one another’s work in the office. These leadboards are generated no matter what device you play from, so if you set a high score on your Nexus tablet, you can see it compared to the score of your friend who uses an iPhone, or your brother on his laptop. Some games that use the Google Plus login will also have real-time multiplayer that will let the competition leave the leaderboard and take place live on your screen of choice. The presentation included a demo of multiplayer gaming taking place between two players in Riptide 2, a jet ski racing game. Other games have already signed up for this service and will be rolling out multiplayer as well. Of course, if multiplayer isn’t your thing but you still want to prove your skills, the new achievements feature is probably more up your alley. 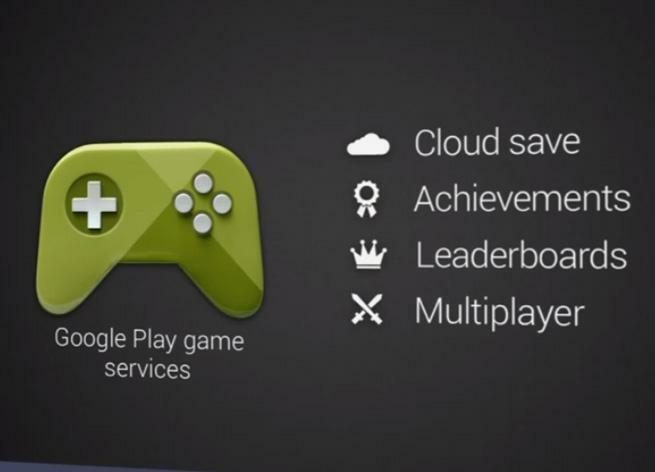 Google Play game services now makes it possible for developers to add in achievements that are stored on the server so you can unlock them no matter what device you pick up your game on. This means incremental achievements, ones based on your play over a longer period of time, can occur even when you’re playing on a different device. This is thanks to one of the most exciting features, Cloud Save. Because many mobile games can be played on multiple platforms – phone, tablet, Web browser, etc. – you will now be able to keep track of your progress and pick up your game right where you left off no matter what device you play on. So when the clock strikes five, you can now leave your cubicle, shut down the browser where you had a tab with your game open, and start playing again on your phone during the bus ride back home. It’s all universally linked so you won’t have to start from scratch if you download your game onto a new device, which is something that gamers will definitely have no issue getting accustomed with. When a game in the Google Play store has included any or all of these new competitive features – the live multiplayer, social leaderboards, achievements – a badge will be displayed on the game’s store page. This will indicate what you can expect out of a game when you sign in to it with your Google Plus account. It also makes games of interest easy to spot for those overly competitive players or the achievement hoarders out there. It’ll also make it easy to find a game that you can play with your friends if you’re looking for a way to connect. The new Google Play game services also feature some nice backend features for developers that may end up having an effect on gamers. For example, developers can choose to keep scoreboards separate based on the platform the game is played on. If they deem the browser experience to be significantly different than the mobile version, the scores recorded on those platforms can be split up. Additionally, new anti-piracy measures have been put in place that will help developers identify pirated games. Interestingly, Google has given the developers the choice to deal with pirated copies however they choose, from shutting them down to allowing them to play unhindered. Would Fiat’s move to the U.S. help or hurt future Chrysler vehicle design?